We are glad to introduce this unusual and colorful IT Certificate Template with Triangle pattern. You can use it for awarding students of IT Industry, Technical, Design and Medical realms. It is suitable for Programming, Design and Management courses. It will present great and memorable ending to every of your personal and commercial project. 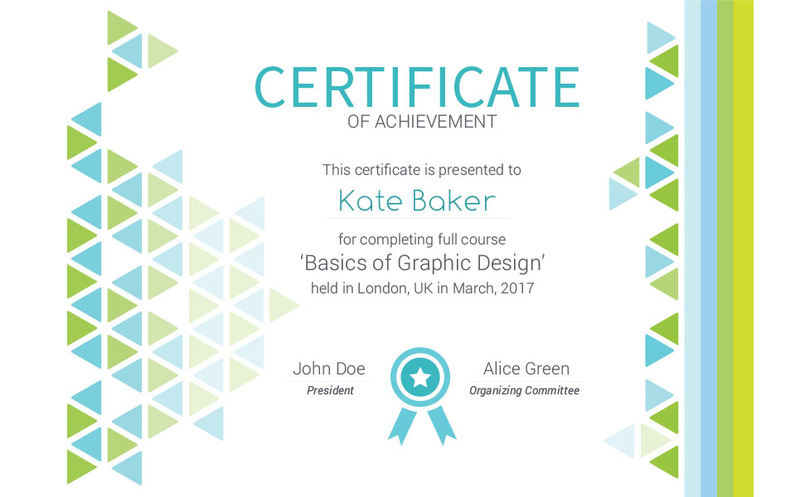 This certificate is not only the mark of an achievement but a stylish poster that can be proudly hung on the wall.Please note: Mockup images are for preview purposes only and are not included into the pack.